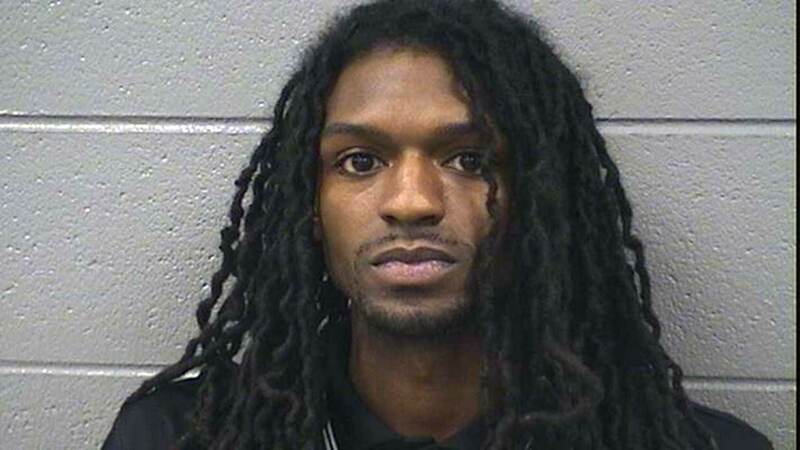 Frederick Taylor, 23, of Dolton, Ill.
DOLTON, Ill. (WLS) -- A third suspect has been apprehended and arrested in connection with an armed robbery during a pizza delivery in suburban Dolton after he managed to elude police since October. Frederick Taylor, 23, of Dolton, was taken into custody on Friday at a residence in the 15600-block of South Maryland in Dolton, with help from the FBI Fugitive Task Force in Chicago. The victim and witnesses helped authorities locate two other suspects, a 15-year-old juvenile, of Dolton, and 22-year-old Derrien Johnson, of Calumet City, both of whom were arrested late last year and are currently in custody. The victim, Matthew Manos-Vickers, was delivering three pizzas on October 14, 2014, to what turned out to be a vacant home in the 200-block of 141st Street, when three men approached and robbed him of the pizzas and cash at gunpoint. Manos-Vickers, a regional manager of Domino's Pizza who was helping out with deliveries that weekend, attempted to flee on foot and was shot three times, once in his hand and twice in his back. Manos-Vickers was treated for life-threatening injuries at Christ Hospital and later returned home to California, where he has continued to recover from his injuries. Taylor has been charged with armed robbery and attempt murder, and is currently in custody at Cook County Jail. Dolton Police said with the arrest of all three offenders from the incident, the case is now closed.